This winter you will be able to reach even more destinations from the capital with Ryanair. 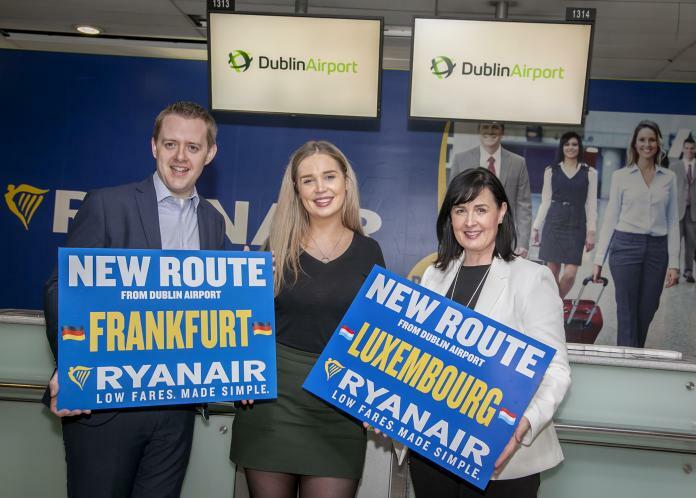 Dublin Airport welcomes the launch of Ryanair’s two new winter routes to Frankfurt and Luxembourg and five other new services to Greece, Italy, Spain, Morocco and Cyprus. The airport has flights to almost 190 destinations in 43 countries, operated by 56 airlines. Now in addition to that you can travel to Luxembourg 3 times and Frankfurt 12 times weekly from Dublin. Almost 27 million passengers have entered Dublin through the airport in the first 10 months this year, which is a 6% increase from last year with more than 1.6 million extra travellers.